SARNIA, Ont. - An explosion that tore through an industrial facility in this southwestern Ontario city sent five people to hospital, with one airlifted to a health centre in critical condition, officials said Saturday. The explosion occurred in the afternoon at the Veolia ES Canada Industrial Services Inc. plant, which is located in an industrial stretch of the municipality and not near any homes. One person was critically injured in the blast, while three suffered serious injuries and one received minor injuries, Sarnia Mayor Mark Bradley said. "My understanding is that there was an explosion, and it caused major damage to the building and the fire was extinguished," he said in a phone interview. Bradley said the situation was wrestled under control after fire crews arrived at the scene. A spokesman with local Lambton County paramedics, Jeff Brooks, said in an email the incident "was isolated to the site." Brooks added that all five patients were suffering from burn injuries, while three others were assessed at the scene and released. The explosion ripped a large hole in a stretch of the building's cinderblock wall, and caused a partial collapse of the roof. 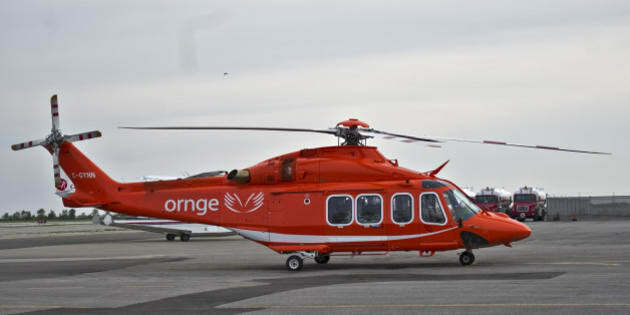 An air ambulance with the Ornge emergency service airlifted the patient in critical condition to a hospital in London, Ont. Spokesman James MacDonald said in an email the man was in his 30s and suffering from severe burns. Some local residents took to Facebook after hearing the explosion. "I heard the bang. It sounded like it was on my front porch," one posted. There was no danger to the environment, said Fire Chief John Kingyens in an email. The Veolia plant provides industrial cleaning and maintenance services, according to the company's website. Veolia could not be immediately reached for comment. The Ontario Ministry of Labour has been called in to investigate, Sarnia police said in a release.